To discover the Baja California Sur peninsula and the beauty of its five municipalities, a tour on federal highway Number 1 is not enough. Nor are the various “off-road” trails that wind like snakes and take you to places where you may not be able to find your way back. 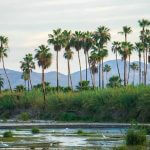 To truly see Baja California Sur, sea routes must be navigated. 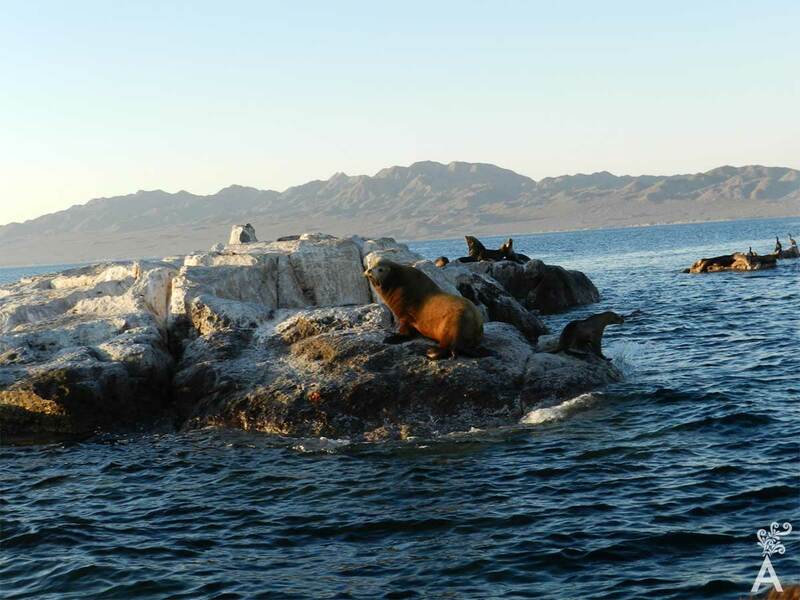 As a result, we will go to sea, to the Gulf of California or Sea of Cortez, as it is popularly known. 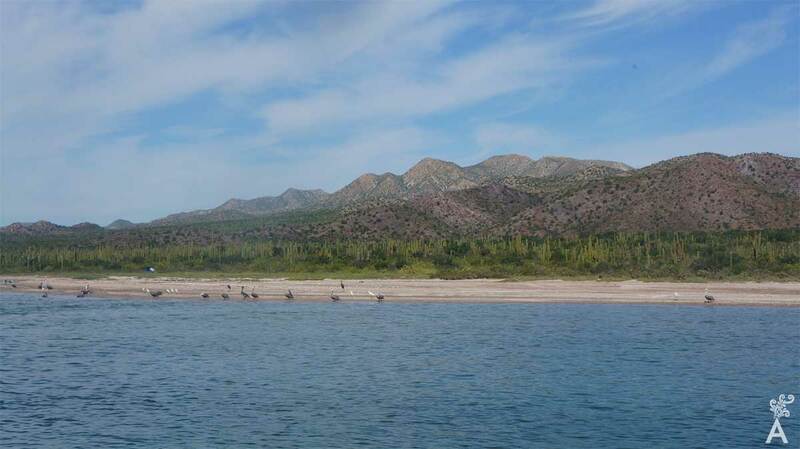 The waters of the Sea of Cortez bathe the beaches of Baja California (north), Baja California Sur, Sonora and Sinaloa. To the state of Baja California Sur belong the islands Cerralvo, Espíritu Santo, Partida, San Diego, San Francisco, San Jose, Carmen, Coronado, Monserrat, San Marcos, Santa Catalina, Santa Cruz, Requeson, and more. One suggestion would be to purchase the Sea of Cortez Guide, by the authors Breeding and Bansmer, who detail the distances, itineraries and general data of all these locations. Many seas offer only landscapes. 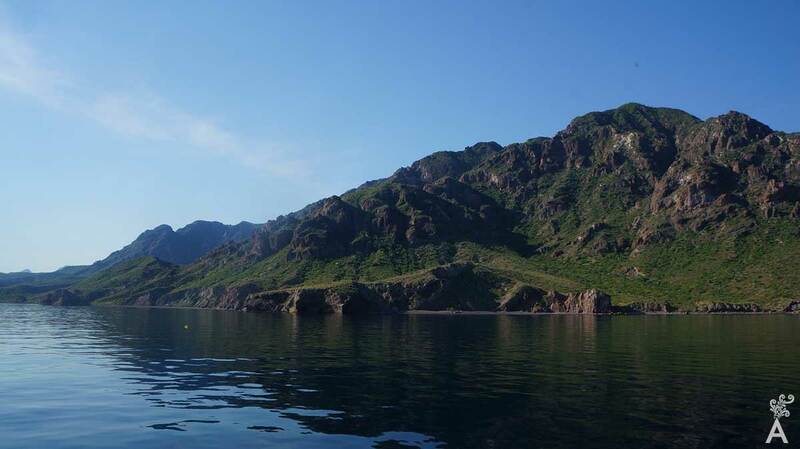 However, the Sea of Cortez gives you the chance to immerse yourself in it. The temperature is welcoming and most of the waters are tranquil. The ideal time frame is the end of April to the beginning of July. If there is no hurricane nearby, the months of August, September and October are spectacular. One way or another, a good captain in the Gulf of California will find the best option to anchor the boat in the right place and find shelter from the wind, if necessary. The various activities that are available require you to carry adequate equipment for snorkeling, diving, camping, swimming, even walking. Importantly, licenses are required for sport fishing and landing on some islands. Add some good binoculars, cameras and other important items such as medicines to prevent dizziness, sunburn, bug bites, and more. This sea is home to a diversity of fauna you will not find anywhere else in the world. Dolphins, sea lions, starfish, tropical fish, manta rays, corals, and humpback whales from Alaska converge here. You can even see Orcas swimming in groups. The Sea of Cortez has such a high concentration of species that the French oceanographer Jacques Cousteau crowned it “the aquarium of the world.” In addition, Nobel author John Steinbeck and the marine biologist Ed Ricketts sailed the sea for six weeks. The result was a couple of research works, “The Sea of Cortez” and “The Log from the Sea of Cortez.” The last production was part of the aforementioned Nobel Prize. The following map shows the obligatory passage through the Pichilingue Commercial Port and the crossing of the San Lorenzo Channel and its beautiful reef. It is an intersection for big ships, so if you snorkel or dive here, a diving flag will be hoisted for security. 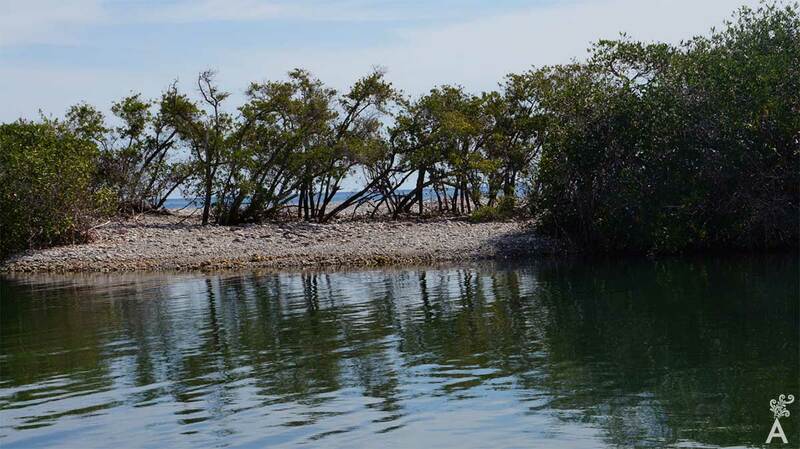 Further on, you will enter the territory protected by UNESCO as a biosphere reserve: “Espiritu Santo” and “La Partida.” A choice of beautiful sites will be available to anchor your boat. 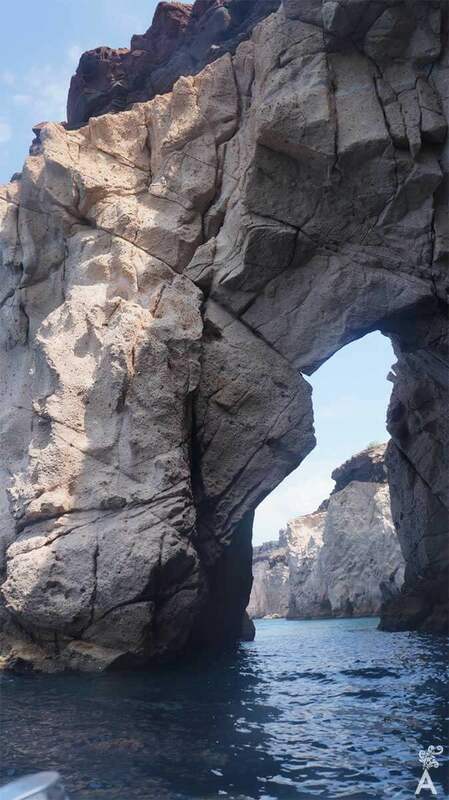 While crossing the Sea of Cortez, you can see various bays, points of land, beaches, inlets, islands, coves, mangrove swamps, small arches that attempt to imitate the Arch at Cabo San Lucas (Ensenada Grande) and mountain ranges. You can experience dawn in a habitat where time is slower and where the sound of the sea is softer. The reefs are a wonderful world of life and color. I remember in the Ensenada del Candelero, when I found an octopus that came out of a cave propelled by its tentacles. We both got scared and swam in opposite directions. If you are not fond of swimming, another option is to use a kayak to tour the coast of sea caves, owned by crabs, and where the waves will splash you with their constant dance. Or, try a paddleboard. Make sure you maintain your balance or you could end up in the water. The marine currents cannot be seen, but in a short time, the wind and waves can take you far from the boat. Wearing a life vest is a good idea. 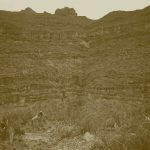 Half a mile from the northwest tip of La Partida is a popular place called Los Islotes (the lobera). You will have to get used to the smell of fish and organic animal waste. There you can immerse yourself in the sea and become a companion to sea lions and their naturally curious babies. It is advisable to swim with your hands close to your body. You can recognize the alpha male sea lion by its size and sounds. By swimming in a straight line, you will be warned of the distance you must keep between your world and theirs. Have fun watching the sea lions take different positions, as varied as the shape of the rock that supports them. The sea lions hunt their fish and the birds join in the feast and then cover the rocks with guano. In a couple of hours at 10 nautical miles per hour, you could reach the Island of San Francisco and then San Jose. During the crossing, you will have a chance to get a tan while remembering the golden color of the species that you just left behind. Even here, you can see dolphins swimming near the bow at the same speed as the boat. You can even fish. Maybe imagine the difficulty the former navigators had locating them selves on the sea, and the competition that arose in Europe, specifically in the United Kingdom, to create an instrument that would help them measure distance. 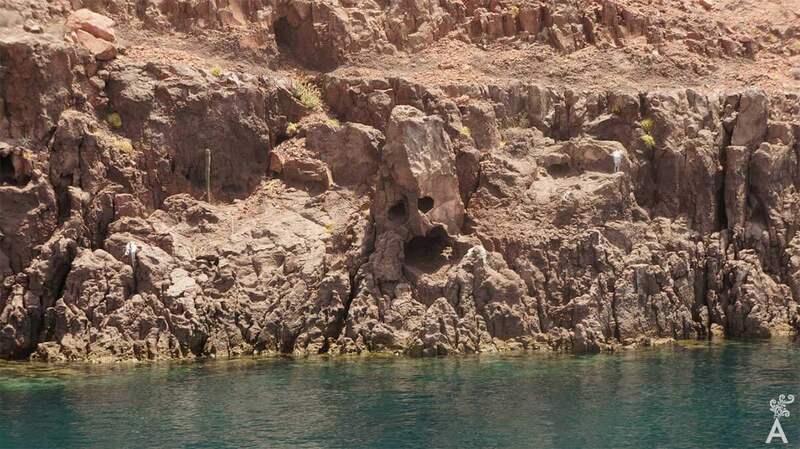 If you want to see a landscape that reminds you of the George Lucas movie Star Wars, sail to Punta Colorada. Amortajada is a giant pool with the entrance guarded by a mangrove swamp located on San José Island, is a mandatory destination. Hundreds of saguaros grouped like an army will be waiting for you to enter the intricate labyrinth of twisted tropical trees with intertwined roots. It is smart to take this walk during the morning hours. Make sure there is some wind to avoid no-see-um bugs in the afternoon. If you are observant, at the end of the mangrove swamp you will see the profile of a lion that, like a sphinx, stands out in the distance on San Francisco Island. A tiny island known as El Pardito is located a short distance from Amortajada. There is a church and a few houses and families. There are still vestiges of the salt deposits that brought people to the island. One of my favorite pastimes is to spend the afternoon anchoring in Mangle Solo. At sunset, the latitude offers an impressive view of the sierra combined with the many colors of red and yellow. It is perfect for taking photographs. A lighthouse at the end of the island can be seen in the distance. Pelicans form groups to search for food on the shore. I usually return to the boat while watching the sunset and listening to the eternal waves. Undoubtedly, the strip of beach where the lighthouse is located is my favorite place. That’s why I now call it Playa Laura. I don’t see that as a problem. The Mangle will no longer be alone. During whale season, this location is ideal for watching the parade of the giant mammals. The journey I have described here could be accomplished in five or six days. However, to get to the islands that I mentioned earlier requires more time. The activities are similar. However, each island and each location will compete with the one you left behind. The next time you fly over the peninsula, ask for a window seat. If you’re lucky, you’ll see the entire voyage in a matter of minutes. We always return to La Paz with the memory of laughter and stories that are only spoken at sea. It not will be the same for you. I am sure you will become aware of the importance of protecting nature so that future generations will be fortunate enough to experience the paradise you left behind.